For the convenience of the media, we are providing downloadable versions of our press releases, art work, and other accompanying materials. Traditional media outlets, websites, and other forms of the media are welcome to use any of the materials found here. "Winners of 2016 National Outdoor Book Awards Announced"
Web Master Information: Website owners and developers are welcome to use our press releases, reviews and book scans. Media Mailing List: Receive NOBA press releases. Only two press releases are sent out annually. For more information, or to be placed on a media mailing list, contact: Ron Watters, 921 South 8th Ave, Stop 8128, Idaho State University, Pocatello, ID 83209. We invite you to sign up for our media email list. Our email list is highly confidential and not shared with any other sources. We send out only two press releases per year. One release announces the opening of nominations for the new year's program—and the other announces the winners (in the fall immediately after the judge's decisions are finalized). To get on the mailing list, send an email to NOBA Chair Ron Watters at wattron@isu.edu. NOTE: High & low resolution cover scans of all books mentioned below are available for download. A woman’s thousand-mile journey across Alaska in a dogsled. A scientist’s quest to find primitive creatures under the seas. The saga of the first ascent of one of the world’s most dangerous mountains. These are some of the themes among this year’s winners of the 2016 National Outdoor Book Awards (NOBA). The annual awards program recognizes the best in outdoor writing and publishing. Among this year’s winners is a moving account written by Debbie Clarke Moderow about her experiences competing in Alaska’s famous dogsled race, the Iditarod. Entitled “Fast Into the Night,” Moderow’s book portrays all the excitement and adventure that occurs on this most rigorous of races. Moderow’s book won the Outdoor Literature category, one of ten categories making up the awards program. Overall this year, the judges bestowed honors on 17 books. 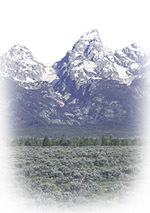 Sponsors of the program include the National Outdoor Book Awards Foundation, Idaho State University and the Association of Outdoor Recreation and Education. Winning the Natural History Literature category is “Sea of Glass” by Drew Harvell. The book is about Harvell’s job as the curator of a collection of glass replicas of ocean invertebrates, spineless creatures of the sea. The collection dates back to the 1800’s. The more time she spends with them, the more she wonders what has happened to the animals represented by the collection since it was created. Winning the History/Biography category is the “Ghosts of K2.” Authored by Mick Conefrey, the book is the fascinating story of the early exploration, and the eventual first ascent, of K2. The Children’s category was won by Sharon Mentyka for “Chasing at the Surface,” a novel for pre-teens and young adult readers. Mentyka’s story revolves around a 12-year old named Marisa who takes on a school science project monitoring a pod of whales. The whales become trapped because of human activity and Marisa plays a role in helping them escape. This year’s classic winner was “Over the Edge: Death in Grand Canyon”by Michael Ghiglieri and Thomas Myers. The book details fatalities and near misses that have occurred in the canyon area. “Victory Gardens for Bees” won the Nature and Environment category. The title is a take-off of victory gardens that many people planted during World War I and II. It was way in which individuals could help the war effort by supplementing their country’s food supply. Author Lori Weidenhammer suggests that victory gardens are again necessary, but for a different reason: to help resolve the shortage of forage and shelter faced by bees. Two books won the Design and Artistic Merit category. The first “The Living Bird” impressed the judges with photographer Gerrit Vyn’s breathtaking images of birds. Vyn’s photography is backed up with an elegant design created by Jane Jeszeck. The other design winner is “Yosemite in the Fifties.”Designed by Tom Adler and Evan Backesthe book celebrates climbing in the highly inventive years of the 1950’s when climbers in Yosemite pushed the boundaries of what was possible and create new climbing tools. Complete reviews of these and the other 2016 winners may be found at the National Outdoor Book Awards website at: www.noba-web.org. History/Biography. Winner. “The Ghosts of K2: The Epic Saga of the First Ascent.” By Mick Conefrey. Oneworld Publications, London. ISBN 9781780745954. History/Biography. Honorable Mention. “Continental Divide: A History of American Mountaineering.” By Maurice Isserman. W. W. Norton, New York. ISBN 9780393068504. History/Biography. Honorable Mention. “Valley Walls: A Memoir of Climbing & Living in Yosemite.” By Glen Denny. Yosemite Conservancy. Yosemite National Park. ISBN 9781930238633. Design & Artistic Merit. Honorable Mention. “Todd and Brad Reed’s Michigan: Wednesdays in the Mitten.” Photography by Todd & Brad Reed. Design by Todd & Brad Reed, Sarah Genson and Rachel Gaudette. Cover by Misty Reed. Todd & Brad Reed Photography, LCC., Ludington, MI. ISBN 9781495152139. Children’s Category. Honorable Mention. “Wake Up, Island.” By Mary Casanova. Woodcuts by Nick Wroblewski. University of Minnesota Press, Minneapolis. ISBN 9780816689354. Classic. Winner. “Over the Edge: Death in Grand Canyon.” By Michael P. Ghiglieri and Thomas M. Myers. Puma Press, Flagstaff, AZ. ISBN 9780984785803. Instructional. Honorable Mention. “Winter in the Wilderness: A Field Guide to Primitive Survival Skills.” By Dave Hall with Jon Ulrich. Cornell University Press, Ithaca, NY. ISBN 9780801479953. Full Reviews Follows . . . In this beautifully written and moving account, Debbie Moderow whisks you away on a dogsled across Alaska. Her interest in dogs began quite innocently when a friend gave their family a “retired” sled dog by the name of Salt. Salt came just at a perfect time, helping Moderow recover from the depression following a second miscarriage. The family took in more dogs, and in a roundabout way, Moderow ended up entering Alaska’s famous Iditarod race. There’s adventure, of course, and plenty of it on the thousand-mile Iditarod trail, but what makes this book so appealing is the connection between Moderow and her dogs. We come to learn their names, their personality quirks, and the warmth and love that she shares with each of them. Sue Leaf knows her way around a canoe, but what’s even better from our standpoint is that she is a gifted story teller. In this collection of writings spanning 35 years, Leaf takes ordinary canoe trips and brings them alive. Weaving the stories around family life, and natural and cultural history, her trips range from her home state of Minnesota to Canada to the bayous of Louisiana. Yes, it is all about the good life, and one that Leaf has captured so well. They were very old, created in the mid 1800’s, but they were absolutely exquisite. Stored away in a Cornell University warehouse for years, they were glass replicas of marine invertebrates, the spineless creatures of the sea. They had been created by the great glass flower artists Leopold and Rudolf Blaschka of central Europe. The delicate replicas were so life-like that upon first seeing them author Drew Harvell was mesmerized by their beauty. As a professor of evolutionary biology, Harvell was well acquainted with the invertebrates, and she began to wonder if man’s activities in connection with the ocean have had any effect on the populations of animals represented by Blaschkas’ replicas. That sets Harvell off on a journey of discovery, one in which you become an eyewitness, as she dives into the mysterious depths of the seas. History/Biography. Winner. The Ghosts of K2: The Epic Saga of the First Ascent. By Mick Conefrey. Oneworld Publications, London. ISBN 9781780745954. Of all the highest mountains in the world, K2 ranks among the most difficult and dangerous. It’s not only the peak’s rarified air and exposed flanks that are responsible for its reputation, but violent storms can suddenly materialize, trapping climbers for days on end. Using newly available source materials and interviews with surviving team members of past expeditions, author Mick Conefrey skillfully re-constructs a vivid and gripping history of the mountain. History/Biography. Honorable Mention. Continental Divide: A History of American Mountaineering. By Maurice Isserman. W. W. Norton, New York. ISBN 9780393068504. There are several comprehensive historic works on American mountaineering and climbing, but Maurice Isserman ups the ante with this book. Part of the book’s appeal is the way he approaches the subject, deftly blending notable achievements in the climbing world with social and cultural history. Works such as this can easily drag after the first couple of chapters, but not this one. Isserman has a lively and engaging writing style which holds one’s attention and keeps the pages turning. History/Biography. Honorable Mention. Valley Walls: A Memoir of Climbing & Living in Yosemite. By Glen Denny. Yosemite Conservancy. Yosemite National Park. ISBN 9781930238633. They were an unkempt bunch. Some of them went days on end without bathing. They were the denizens of that notorious campground in Yosemite called Camp 4 who pioneered the techniques and equipment of modern day big wall climbing. In the 1960’s, author Glen Denny was there, taking many of the era’s iconic photographs and making some of his own notable first ascents. Valley Walls is his engrossing and memorable story of those raucous days. From one of the leading ornithology labs comes a book with extraordinary design and breathtaking imagery. Within the pages of this elegant book, master photographer Gerrit Vyn and leading naturalists, explore the fascinating world of birds. It’s not just Vyn’s accomplished photography — though the book could stand alone on Vyn’s art alone — it is also filled with up-to-date facts, and insightful and satisfying writing. This is a superior production in every respect. If you have just one book on birds in your library, you can't make a better choice than this one. Two words come to mind in describing this handsomely done, large format book: visual celebration. What it celebrates are the highly inventive years of the 1950’s when climbers in Yosemite pushed the boundaries of what was possible, all the while experimenting and creating new tools of the trade. The photos are drawn from a wide variety of original sources and fit comfortably into the book’s crisp graphic design. Enhancing the overall appeal of the book is the inclusion of classic writings authored by climbers of the time period. All in all, it’s a striking work which captivates from the first page all the way to the last thought-provoking photograph on the back cover. Design & Artistic Merit. Honorable Mention. Todd and Brad Reed’s Michigan: Wednesdays in the Mitten. Photography by Todd & Brad Reed. Design by Todd & Brad Reed, Sarah Genson and Rachel Gaudette. Cover by Misty Reed. Todd & Brad Reed Photography, LCC., Ludington, MI. ISBN 9781495152139. During World War I and II, many people planted “victory gardens.” It was way in which individuals could help the war effort by supplementing their country’s food supply. In this splendidly designed and photographed book, Lori Weidenhammer suggests that victory gardens are again necessary, but for a different reason: to help resolve the shortage of forage and shelter faced by bees. The book serves as an instructional guide — text, graphics and photographs perfectly meshing together — describing how anyone, even with limited space, can create their own sanctuary for bees. In this 220-page novel for young adults, 12-year old Marisa’s world is thrown into confusion when her mom leaves on a mysterious trip. A school science project monitoring a pod of whales helps take her mind off her worries. As Marisa learns more about whales, she begins to understand the delicate life-and-death balance facing these creatures of the deep. Her interest and passion for the whales grows, but events take a turn for the worse when the whales become trapped because of human activity. The story comes to a climax as Marisa plays a role in helping the whales escape back into the wild, and her mother returns and reveals a long held secret. Children’s Category. Honorable Mention. Wake Up, Island. By Mary Casanova. Woodcuts by Nick Wroblewski. University of Minnesota Press, Minneapolis. ISBN 9780816689354. If you’re looking for the perfect book to read aloud to young children, look no further. The story is about the natural world coming awake in the early morning: the sun peeking above the horizon, pine trees stretching,and deer rising from their grassy beds. Wake Up, Island is a joy to read with its fun word play and animal sounds — like: squirrels chattering chitter-chee and chickadees calling dee dee dee. Nick Wroblewski’s gorgeous woodcuts are the icing on the cake and will have children wide-eyed and eager to point out their favorite creatures. Classic. Winner. Over the Edge: Death in Grand Canyon. By Michael P. Ghiglieri and Thomas M. Myers. Puma Press, Flagstaff, AZ. ISBN 9780984785803. Originally published in 2001, Over the Edge has since sold well over a quarter million copies. Meticulously researched, it categorizes fatalities and near misses into several groupings including falls, flash floods, river running accidents, and freak mishaps such as lightning and rock falls. Yes, it is fascinating reading — if somewhat chilling especially if you happen to be hiking or boating in the Grand Canyon area while reading it. But its true value lies in the authors’ thoughtful analysis of accidents and their causes — most of which, we learn, are preventable and occur again and again. There’s no such thing as perfect safety in the desert and canyon environment, but by learning from exceptional works as this one, we can certainly tip the odds in our favor. There's a lot to like about this small guide, starting with its size — it will fit easily in the pocket of a pack for use in the field. The book is nicely organized into sections by the mushroom’s shape for ease of identification. Safety is front and center throughout, and that’s underscored with the two most important categories leading off the identification chapters: edible and toxic mushrooms. Moreover, from start to finish the authors are careful to point out when an edible mushroom might be confused with a toxic one. Written in a straightforward, no-nonsense style, this is the right book for aspiring mushroomers. If you’ve ever wondered about the names of seaweeds that have washed up on shore, this is the guide to reach for. Of the several methods employed by the authors to aid your identification efforts, one of the most clever is the way seaweeds are photographed. The book often portrays a seaweed held in a hand or draped over a finger. That not only helps provide size perspective but it also personalizes the process of identifying it. It’s what you would see when holding a specimen in your own hand. What plainly comes through in this book is that the authors are enthusiastic and passionate about these plants of the sea. They’ve even included an extra treat for your culinary pleasure: a series of sea vegetable recipes. Bon appétit! There’s nothing like Maine’s Acadia National Park. From its shoreside walks to the commanding view from the highest mountain on the Atlantic seaboard, it’s a place that inspires and regenerates the soul. One nice feature to Dolores Kong and Dan Ring’s guidebook is the way they have organized hikes according to interest: best hikes for great views, or hikes for children, or dogs, history buffs, peak baggers, or ocean lovers. It’s all there in one compact package with thoughtful design, clear maps, and straightforward trail descriptions. Instructional. Honorable Mention. Winter in the Wilderness: A Field Guide to Primitive Survival Skills. By Dave Hall with Jon Ulrich. Cornell University Press, Ithaca, NY. ISBN 9780801479953. There’s nothing fancy here. No frills. No colorful graphics. How best to describe it? It’s is like having a conversation with Northeastern survival expert Dave Hall. You ask a question and Hall responds with his thoughts. He might explain the finer points of building a fire (which he demonstrates using what he calls a “fire burrito”). Or he might offer his opinion on the pros and cons of different snow shelters. It’s informal, unaffected, and plain good advice. If you are unable to use the Microsoft Word document, above, a simple way to transfer the press release to your word processor is to highlight the text of the above press release with your mouse, choose EDIT--COPY, and then paste it in your word processor. Another way is to choose FILE--SAVE AS (TEXT) on your Browser Menu. This method saves the entire page, but once you open the file in your word processor, you can delete any text you don't want. Note that both of the above methods will not retain formatting. For your convenience, we have made high resolution scans of all NOBA winners. The covers were scanned with a graphic-quality scanner at 300 dpi, a resolution suitable for most print media work. All scans were saved in a TIFF file format. When downloading the following image files, we suggest using your browser's SAVE option. On some browsers, you can do this by right clicking and selecting SAVE LINK AS. The following links will download a high resolution scan of the NOBA medallion. The medallion is copyrighted. However, media sources (such as newspapers, periodicals and other news outlets) may use it without permission to illustrate informational articles on the NOBA program. The scan was saved in a TIFF file format. When downloading the following TIFF image files, we suggest using your browser's SAVE option. On some browsers, you can do this by right clicking and selecting SAVE LINK AS.